Gregory Jackson is a NAPE Program Manager supporting large grants and growing NAPE membership. His passion is sustainable community building, through partnerships and collaborations. With Girl Scouts of the USA, a 3.2 million member organization, Jackson designed and managed important national relationships. His work emphasized membership growth, engagement of underserved communities, and STEM turnkey program opportunities. At the American Red Cross, Jackson managed blood donor engagement for Greater New York and served during the 9/11 long term recovery—building corporate, community, and government collaborations to reach and serve victims, and supporting the distribution of the $1.3 billion dollar September 11 Recovery Program Fund. 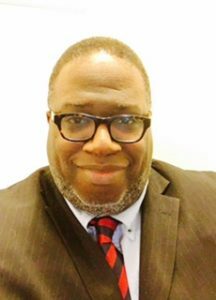 Gregory began his career as Director of Community Building at the United Way of Essex and West Hudson, resulting in more than $100 million dollars of investment. Gregory has a BA in history from Lafayette College and was member of the first joint MPP/Peace Corps program at Rutgers University.